Eduard Mazel composed direct mates in the Bohemian style. 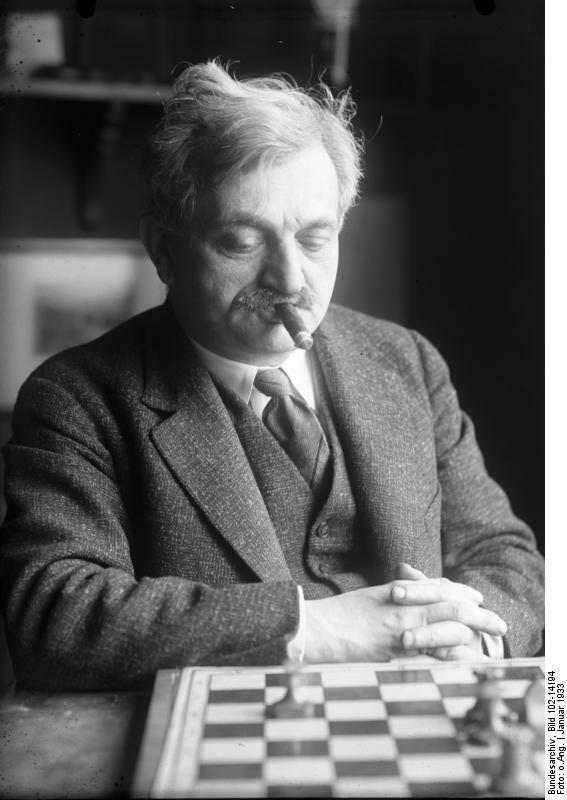 Emanuel Lasker was a mathematician and also one of the very best chess players ever, World Champion for 27 years. He also played bridge and Go. He wrote many chess books (for instance "Lasker's Manual of Chess") and his "Lasker's Chess Magazine". 1. Kb7 Rb2+ 2. Ka7 Rc2 3. Rh5+ Ka4 ! 4. Kb7 Rb2+ 5. Ka6 Rc2 6. Rh4+ Ka3 7. Kb6 Rb2+ 8. Ka5 Rc2 9. Rh3+ Ka2 10. Rxh2 ! wins by pinning the black Rook. "Georgy Afanasiev published his first study in 1927 in the magazine "64" . During 45 years of composing activity he published about 110 studies, of which 60 were in collaboration with E . I. Dvizov from about 1965 onwards." 1. Sc6+ Ke8 2. Sh5 Bd8 3. Kg8 Rd7 4. e7 ! Alexander Hildebrand was born in Estonia and became Swedish in 1944. He was an International Judge. He collected chess-themed stamps. He composed endgame studies and problems. 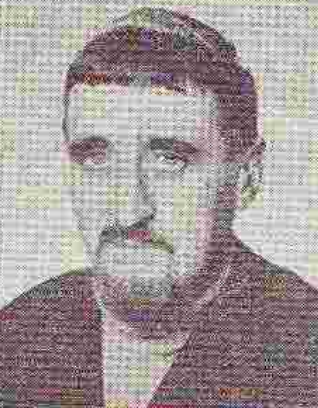 He was the editor of the studies column of "Tidskrift för Schack" and of "Stella Polaris". White sacrifices the two advanced pawns to obtain an attack on the ill-placed black King. Conjugated Pickaninny and Allumwandlung with battery play. Gerd Giebel composed direct mates. He was the captain of the Brazilian composing team for the WCCT and translated chess works from German to Brazilian Portuguese. More details about him can be found on oproblemista. 1... f2 2. Rbf1 e2 3. Qe1 and mate at the next move in a very peculiar Zugzwang position. Nice line clearances by the Rooks and Queen. Boško Milošeski composes in all genres and until now has published more than 1250 problems. He is an International Judge and, since Batumi 2013 WCCC, FIDE Master for Chess Composition. 1.Rb1? (2.Rh1#) d1=Q 2.Rxd1 Be1 3.Rd5 Ra5! doesn't work because the black Rook can defend. 1.Rb5! (2.Rh5#) c5 2.Rxc5? avoiding the first rank fails too: 2... d5! 3.Rxd5 e5! 4.Rxe5 Ra7+! (that black Rook is a pest). After the obstruction of the 5th rank is made, White returns to the initial plan. The black Rook can not intervene: the 5th rank is closed and the 7th rank as well. Three thematic sacrifices on a2, two of them quiet, plus a ‘similar’ mating move to a2 with six white pieces are a wonderful performance. 3.Ra2, 6.Ba2+ (after 4.Rc3+) and 8.Ra2 keep Black busy and show clearances for Qa8-a2 and Qg8-a2 plus a line-opening for Bd5-a2. 2. exf7 Bg8 3. f8=R! On making a capture, a unit (except a King) changes colour (more exactly, it takes the colour of the opposite side: a neutral piece moved by White becomes black...). Specific Andernach manoeuvres and pin mates.